Nathania Mihardjo has distinguished herself as a solo performer, collaborative pianist, and an educator. For the past three years (2015-2018), Nathania was a full-time piano lecturer at Universitas Pelita Harapan (UPH) Conservatory of Music in her home country, Indonesia. She was a lecturer in piano performance and piano literature, and from 2017 vice deputy of the Performance, Theory, and Contextual Studies department. 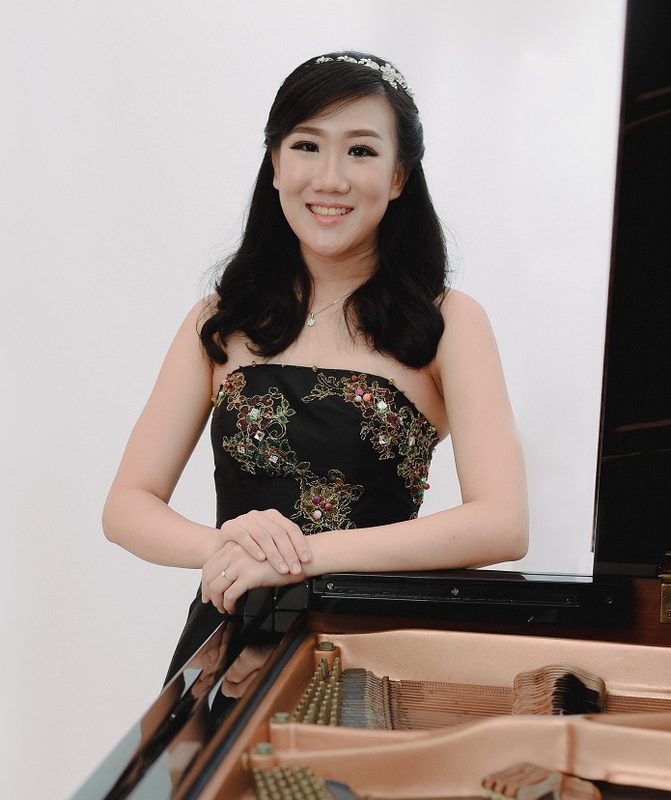 At the conservatory, she was active in giving solo and collaborative piano recitals, recently performing the Mozart Piano Concerto No.12 as a soloist with UPH Symphony Orchestra. Nathania is also regularly invited to adjudicate numerous local and national piano competitions in Indonesia. Nathania's collaborative performance experience ranges from recitals with different instrumentalists and vocalists to an orchestral keyboard instrumentalist to concerto soloist. For over eight years, she has been greatly in demand as choir accompanist/pianist. She has also worked as an official pianist for the Indiana University (IU) String Academy program and was a private instructor in IU's Pre-College piano program. Nathania has won several national and regional competitions in her home country, including the 2012 Yamaha Music Scholarship. Her awards include the Sebok Scholarship and Artistic Excellence Award at IU. An alumnus of the 32nd Kirishima International Music Festival in Japan, she has also participated in masterclasses with world renowned pianists including Andreas Henkel, Manfred Aust, and Steven Spooner. Her principal teachers include Shigeo Neriki, Emile Naoumoff, Dr. Chih-Yi Chen, Mina Yamauchi and Mamoru Yabuki. Nathania majored in piano performance and holds a Master's in Music from Indiana University and a Bachelor’s in Music from UPH Conservatory of Music.